Regardless of whether you are a freelance graphic designer or a writer, if you need to get clients, you need to have an impressive online portfolio. For starters, it introduces you to the clients — who you are, what you do, and how to get in touch with you. And as they say, the first impression is everything. You want your portfolio to impress people, stand out in the crowd, showcase your capabilities in the best possible light, and more. There are so many aspects to look at — you can feel a bit lost. Besides that, if you are from a non-technical background, building a website might sound like a daunting task. The truth is that creating a portfolio is not hard if you go about it systematically. To make your life easier, we’ve created a framework that you can follow. We have listed down and explained the steps involved that will help you create an impressive portfolio to launch your freelancing career. The first step is to register your domain name. To do this, come up with a domain name, search online for its availability, choose a domain registrar company (they will register the domain on your behalf), and then, purchase the domain. Once you have a domain name ready, choose a hosting and website building platform. Some of the popular ones are Contently, WordPress, and Wix. These platforms ensure that you don’t have to get involved in web development or programming. You can skip all this by signing up for a service like Behance. These services let freelancers build, share, and showcase their portfolios online. Make sure the services you offer are visible on your homepage and is above the fold. Don’t make visitors click on multiple pages to learn about your offerings. The further it takes for them to find out, the higher the chances of them leaving your website. Don’t merely list down all the services you offer. Show how you can make the client’s life easier. Highlight any statistics if available or specific qualifications you possess that makes you an excellent choice for the job. Whatever you do, be sure to tie it into the bigger picture about how it will help your client. For a more detailed overview, you can have a separate tab which explains in detail all the services you provide and the payment structure. Put yourself in the shoes of your clients. Make sure the page caters to their needs. For instance, if you are a freelance writer, showcase articles you wrote for different clients. Merely adding links to those pages won’t be enough. Only pick the best work-samples. It is always best to showcase 2-3 great ones rather than displaying ten sub-standard ones. Always categorize your samples and make sure you explain the context of each one. It will help clients find and evaluate examples relevant to them quickly. Suppose you are a mobile app developer, you can have separate sections for Android and iOS. Testimonials are one of the most powerful tools at your disposal to convince visitors about your capabilities. Persuasive testimonials can sway the opinion of even the most hesitant of visitors. The key here is that you need to be proactive about collecting it. Don’t be insistent that testimonials should be in a particular form. It could be range from an email reply, a shout-out on Twitter to a handwritten note. Please don’t wait for people to recommend you themselves. You have to ask for it and be honest and clear while doing so. For instance, if you want a quote praising your expertise or effectiveness, clearly convey your requirements. Also, tell them what the ideal word limit would be and how the testimonial will be used. 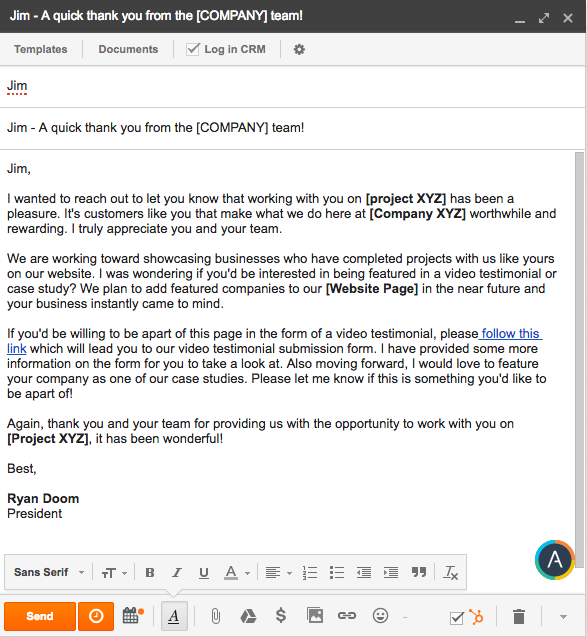 If you are a rookie, don’t wait for your first client to ask for testimonials. Source recommendations from former colleagues, supervisors, professors, mentors, influencers, and so on. It helps verify your profile, expertise, and qualifications. One of the aims of having an online portfolio is to get clients. However, you need to go beyond that. You have to make sure your portfolio attracts the right clients. For that, it should reflect the type of work you want to do and the kind of people you want to work with. Don’t think that narrowing down will hinder your chances of getting clients. It doesn’t work like that. When you are clear about your intentions, you’ll be able to attract the right clients. It will help go in the direction you want to. For instance, if you are a freelance writer who covers general news but wants to specialize in technology, your portfolio should feature more such articles. Furthermore, it should reflect that you are a tech nerd and has an in-depth understanding of the niche. Clients will only consider you for the job that you actively seek out. If you don’t have much professional experience in that area, consider creating a gallery of personal projects to highlight your skills and interests. The ‘About me’ pages are often the most visited part of your online portfolio. Obviously, prospective clients would like to know you before hiring you. They want to know who you are, whether you will fit their work culture, and so on. Your educational qualifications. The certificate courses, boot camps, and workshops you have attended. Tell them a bit about yourself, like you would in an interview. Answer who you are, where you are from, and other personal questions. Tell a bit about your perspective about the industry, why you chose it, your inspiration to do so, what you want to do, what you want to achieve, and so on. Add a few testimonials, famous clients, press mentions, your mentor, and so on. Finish off talking about your interests, hobbies, pet peeves, guilty pleasures, and so on. You can share your perspective about the latest happenings in your industry, how you helped a particular client achieve a milestone, critiques, and so on. You can tell stories about yourself, how and why chose this profession and so on. It shows your character and where you are coming from. At the end of the day, when they know you as a person, you will appear more trustworthy. It increases your chances of getting seen. If you are writing quality search optimised content, the likelihood of your articles ranking on Google and other search engines increase dramatically. It can help you establish top of mind awareness. It gives you enough content to create a weekly or biweekly newsletter. You can use that to keep in touch with your followers, increase your recall value, and gain referrals. You can create an ‘updates’ section in your blog or have a separate section altogether. It shows the evolution of your work, how you are experimenting with new things, or how you are improving your expertise. If you are doing a certificate course or attending a boot camp, you can write a small summary of it. It shows that you are not standing still. Besides that, you can add tidbits about your personal life as well. Makes you feel like a real, approachable person. Now that you know how to set up your portfolio and what to include in it, make one yourself immediately. To complement your portfolio and further enhance its reach, sign up on TapChief, a platform where you can share your portfolio, find open projects, interact with companies, build relationships with fellow freelancers, and more.